Twitter shared in a blog post today that it's working on changes to its content discovery features, as well as push notifications for events and news stories the platform identifies as likely to be interesting to you. Most of the changes lack firm release dates, rolling out "in the coming weeks" and months. 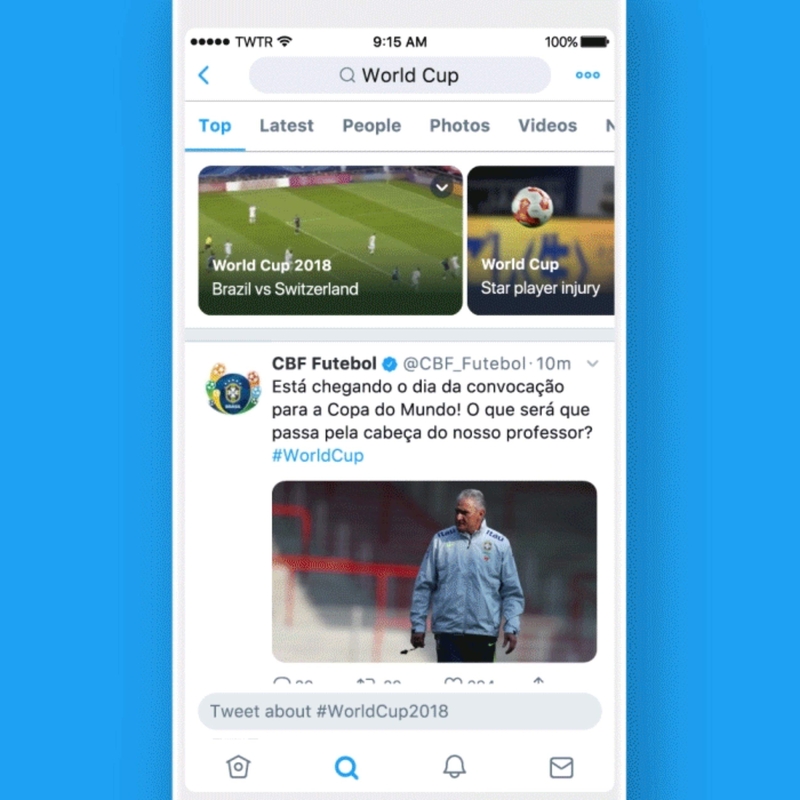 Moments will soon scroll vertically instead of horizontally to match the Twitter timeline — Twitter said that in its tests, a vertical layout led to more user engagement. Some will also include multiple timelines featuring different types of tweets, so you can see "all the best Tweets surrounding a story." Explore will be getting topic tabs to make it easier to navigate in the next few months, and starting today, search results will have a highlights row at the top, featuring things like videos and game scores. Twitter's Happening now feature is also expanding to include non-sports stories. Over the next few weeks, Twitter will be rolling out push notifications for news stories it deems appropriate for you, personally. There's also a page for the World Cup rolling out today in 10 different languages, as well as pages for each individual match in the cup.